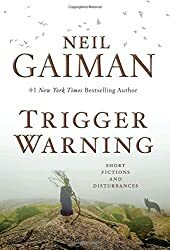 I tend to find short story collections uneven in general, and Gaiman’s have a higher average than most of stories I enjoy. (I’m difficult to please.) “Orange” was maybe my favorite in this one — it sounded like part of an episode of Welcome to Night Vale or something, that strange weird-creepy hilarity. I really liked “Orange.” I think it was easily the funniest.